A B.C. Supreme Court judge has ruled that ambassadors asking homeless people to move from public spaces in Vancouver's Downtown Eastside constituted discrimination. A B.C. Supreme Court judge has overruled at 2012 tribunal decision dismissing wide-sweeping complaints of prejudice on Vancouver's Downtown Eastside. ​Rough family life and a stint in jail pushed Laura Shavers from British Columbia's Okanagan onto Vancouver's streets a decade ago. Her dignity already fragile, the woman told a human rights tribunal in 2010 that when members of a downtown street patrol asked her as a homeless person to relocate, she felt humiliated. 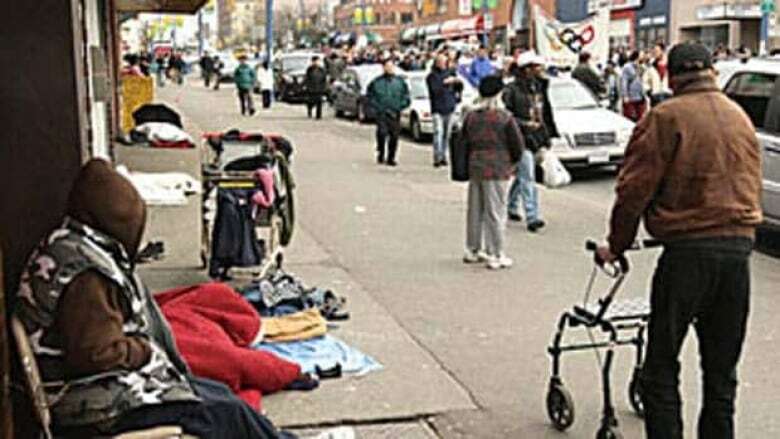 That type of treatment of homeless and drug addicted people by staff of the Downtown Ambassadors Program during its early years constituted discrimination, a B.C. Supreme Court judge ruled on Friday. Advocates reacted by saying the decision, which overturns a 2012 tribunal ruling dismissing wide-sweeping complaints of prejudice, should serve as a warning that human rights for homeless people must be upheld. "If you're already having a really bad month and then some guy comes up to you and tells you you can't sit somewhere?" asked Ann Livingston, who co-founded the network. "I don't think the rest of us might imagine being in this situation. "The idea that this is a neutral activity is simply not true. (The judge) made the right decision." The Vancouver Area Network of Drug Users' case alleged the ambassadors actively dissuaded homeless in the downtown core from occupying public spaces. They argued the conduct disproportionately targeted aboriginals, people with addictions, and those suffering mental and physical disabilities. Livingston said the case is central to the question of who has rights to public space. The complaint dates back to a stretch between 2000 and 2008 when the program was contracted out to the private Genesis Security firm and ambassadors wore red shirts. It culminated in a four-year investigation and legal battle that appeared to be over when the B.C. Human Rights Tribunal quashed the case. But the tribunal made an error of law and applied a standard of proof "too strict and inconsistent," ruled B.C. Supreme Court Justice Neena Sharma in her written decision. She awarded costs against the city, based on one year it helped fund the program, and the Downtown Vancouver Business Improvement Association, which has operated the program for 15 years. Sharma sent the complaint back to the tribunal, "to determine whether the discriminatory conduct is justified." 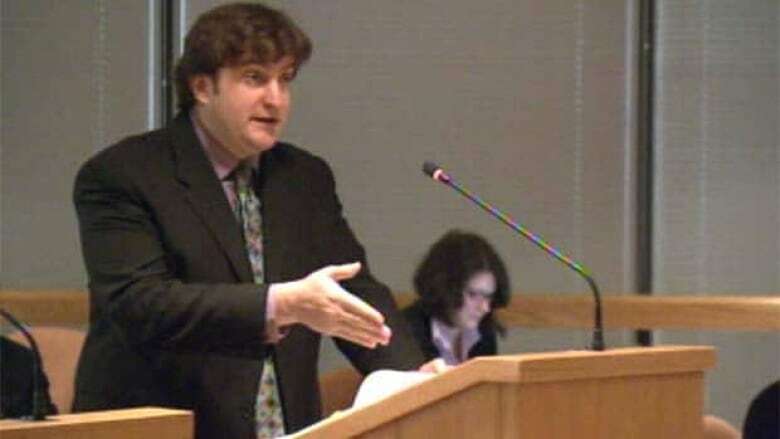 Lawyer Jason Gratl, who represents the network, said he believes it's the first decision recognizing that activities targeting homeless people may be discrimination under the human rights code. "It's a strong precedent to guarantee the equal protection and treatment of homeless people." Business association president Charles Gauthier, however, said he's disappointed and lawyers will review the decision. "We have full confidence in our program," he said. "From our perspective, we were out there helping the homeless people in terms of directing them to social services, directing them to programs." He said the association doesn't believe discrimination occurred, while adding the ambassadors' interactions with homeless people have evolved over the last decade. A spokesman for Mayor Gregor Robertson said the city is reviewing the decision and noted the funding was granted under his predecessor, Sam Sullivan. The parties have 30 days to give notice to appeal.